To be sure, there are a number of reasons to post on Medium. Before getting to those, what were my hesitations? It all comes back to control, well lack thereof, and my desire to be able to tinker with my own site. One of the reasons I started this blog was to build my personal brand. I wanted full ownership and credentials; I don’t want to just hand that over to someone like Medium. 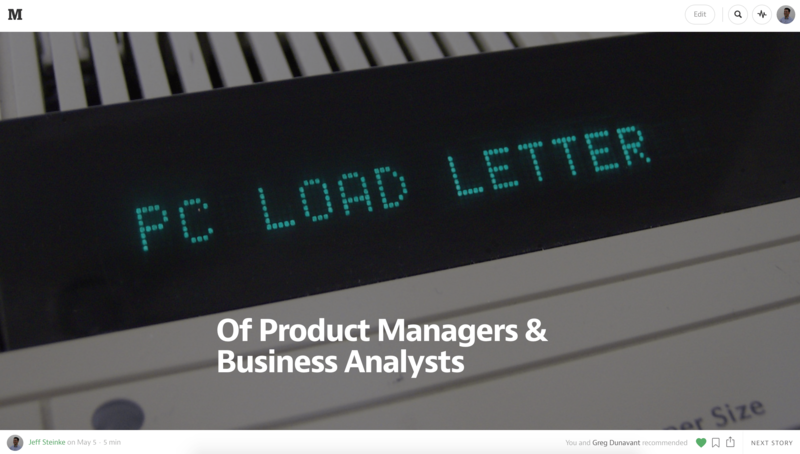 On Medium the content is the pure focus – which is a good thing mind you – but not what I’m looking for. This site is my resume of sorts, and locating to Medium makes it tougher to keep that emphasis. Similarly, I want to have a singular place to refer people to. Yes you can do this on Medium – https://medium.com/@jeff_steinke – but it’s again slightly off from my end goal. I’m not a front end dev. Let’s get that out of the way. Exploring simple challenges like centering text and images with CSS is why I’m here. My site is plugged into Google Analytics, giving me more than enough data than I’ll ever want. Let’s be honest, 99% of the data never gets seen – this is a small side project after all – but it’s nice knowing it’s there in case I ever want to dive deeper. I’d normally argue that less is more, but I’m a sucker for analytics (read: sucker for meaningless data). I love running tests to see what works and doesn’t. Over the years I’ve experimented on this site with SumoMe, AdWords, AddThis, Outbrain and a handful of WordPress plugins and widgets. Having my own site gives me the freedom & flexibility to run these tests that I wouldn’t have elsewhere. Even though it hasn’t won me over Medium is a great option for many people. 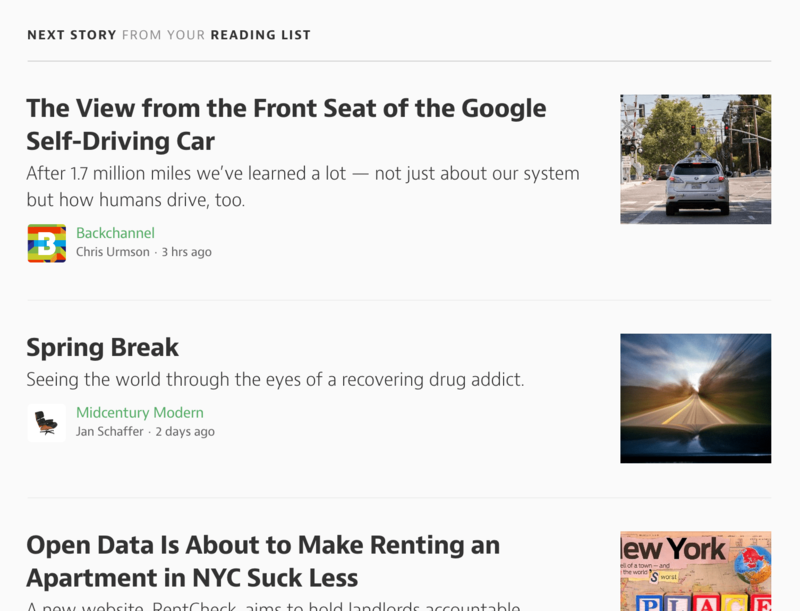 If you want a way to easily create and publish content and aren’t concerned about who owns your content or where it’s stored, Medium is for you! Medium nails the less is more mantra. 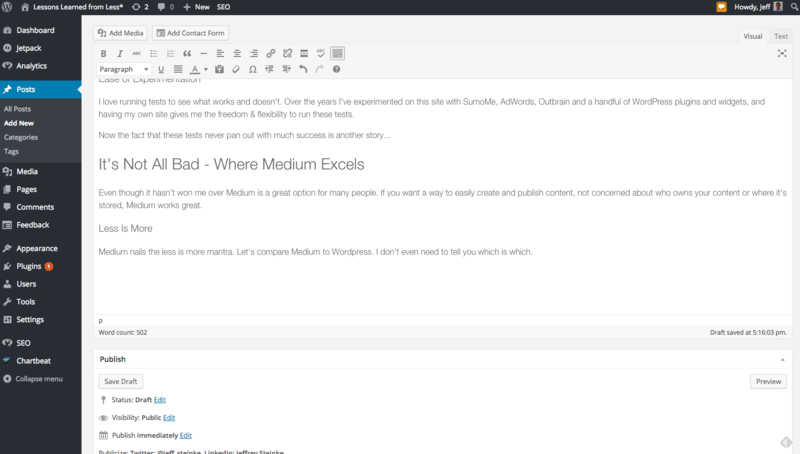 Let’s compare Medium to WordPress. I don’t even need to tell you which is which. The Medium interface is clean and distraction free. The minimal styling options not only make it easier to format your post, but also more importantly help keep you from ruining your content with excessive formatting. 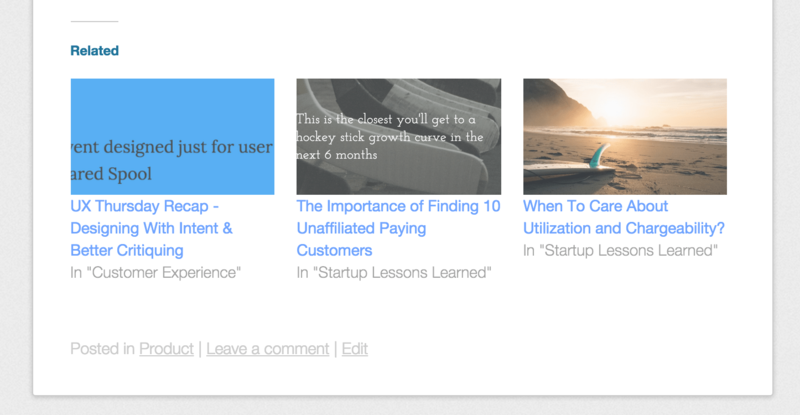 A complaint I had above is how Medium encourages readers to go read content from other authors. The nerve! Yes this is self-centered. Within 15 minutes I was able to create a Medium account and publish my first post. 15 minutes!! Contrast this with the hours I spent on my own site, buying a domain, setting up hosting, getting a WordPress account, finding and configuring a theme, and more. Again, these are things I wanted to do but for the majority of writers it’s unnecessary. Oh and it’s free. Like zero dollars $0 free. Alternatively, sites like Squarespace and WordPress.com (my site is a .org site) sound like happy mediums (yep we just went there!) between customization & configuration, and simple, fast, inexpensive ease of use. I dare you to deny that the reader experience on Medium is anything less than perfect. The site is, after all, dedicated to doing the content it’s showcasing justice. Perfect fonts and header styles. The right margin that’s perfectly responsive based on your device. Even details like the expected reading time ensure the reader is the #1 priority. For now I’m sticking here at jeffsteinke.com. For the other 90% of the writing public, though, you’d be well served to give Medium a shot.